Although several drugs have been approved that target similar forms of CA, they are not selective and may cause side effects, including vomiting and fatigue. Now researchers report in American Chemistry Society’s Journal of Medicinal Chemistry that an artificial sweetener could lead to development of a more selective therapy. CA IX is a zinc protein that is typically found only in the gastrointestinal tract, but it is overexpressed in cancer tissues and contributes to the growth and spread of malignant cells in lung, brain and breast cancers. The body produces 14 other forms of CA proteins that are involved in the function of normal, healthy cells. 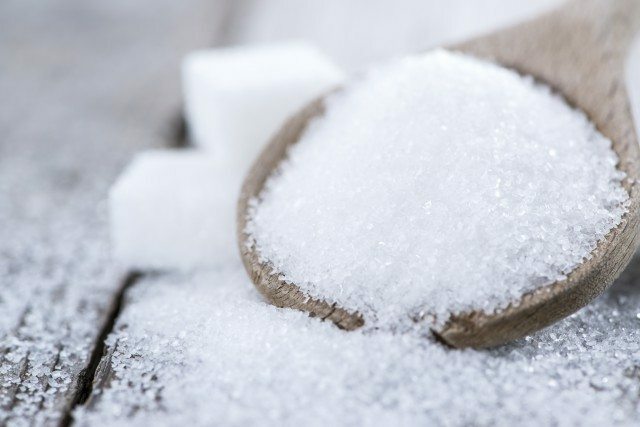 In earlier work, Robert McKenna and colleagues reported that saccharin, the artificial sweetener in Sweet’N Low, was more selective toward CA IX than other treatments and therefore could be a promising treatment option. But the team wanted to know if another artificial sweetener, acesulfame potassium, would be an even better cancer treatment. Known as ACE K, sweetener is marketed as Sunett and Sweet One and is already widely consumed in processed foods like sodas and baked goods. The CA IX protein is difficult to purify, so the researchers created a genetically engineered version, called “CA IX mimic”. They then studied the interactions of ACE K and other inhibitors with CA IX mimic and with a form found throughout the body called CA II. They determined that ACE K is more selective than saccharin, vastly preferring CA IX over CA II. They also explored the characteristics about ACE K binding to CA IX that makes it unique compared to other inhibitors. For example, ACE K completely fills the CA IX binding site and binds directly to a catalytic zinc ion, displacing a water molecule that is still present when approved drugs bind. This information will help researchers modify ACE K’s chemical structure to create even more selective treatments that have fewer side effects. The authors received funding from the University of Florida, the National Institutes of Health and the National Science Foundation.